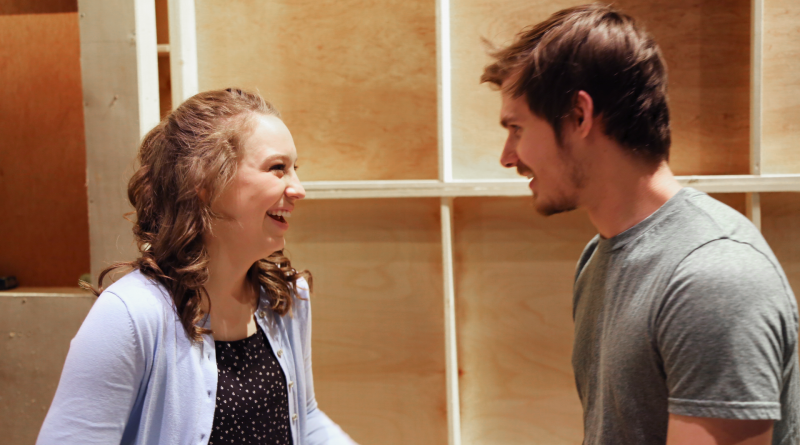 The University Sioux Falls theatre department is abuzz rehearsing for this year’s spring musical, She Loves Me. The production, which runs about two hours, is a romantic comedy that was made popular by the 1998 film You’ve Got Mail. The show was chosen by Professor of Theatre Joe Obermueller and has been in production since auditions in early February. Obermueller is thrilled to be directing such a fun, feel good show. “There’s just a lot of talent on display,” he says. “Great singing, great dancing.” Obermueller is happy with the progress of recent rehearsals and says that the show is coming together right on time. Obermueller’s biggest challenge? The technical components of sets, lighting, sound and costumes. “There’s just so much that happens offstage,” he says. 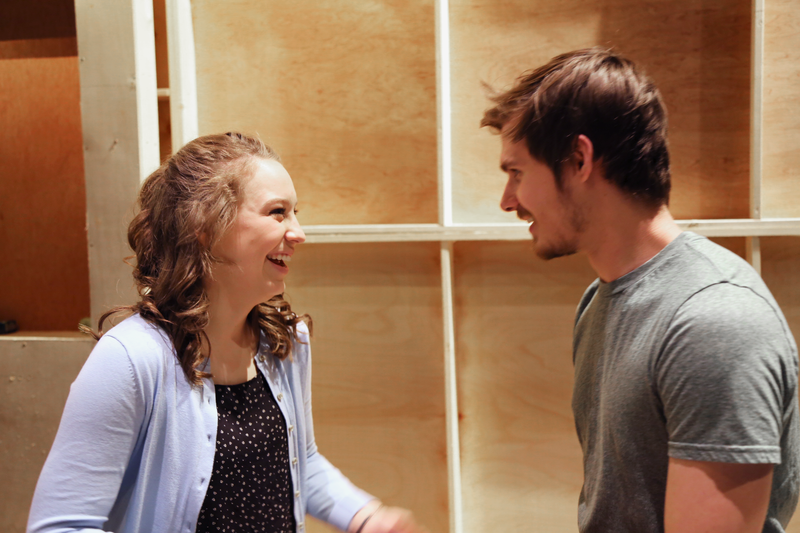 The cast features a range of students from a variety of grades and majors. 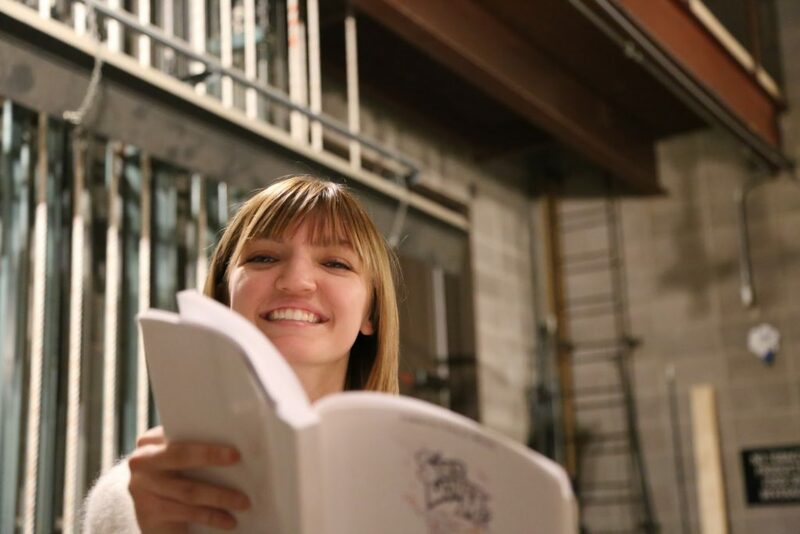 Actress Emily Magera, a junior Communication Studies and Theatre major, is excited to play the show’s female lead in what will be her ninth production at the University. Though Magera’s major was undecided in her freshman year, after three productions her future was certain. “I found such a wonderful community,” Magera says fondly of her theatre family. “It was unbelievable.” She strongly encourages every student at USF to get involved in the fine arts departments. “Come see the show!” urges Magera. Still need a reason to come? “It’s so cute, and it makes you feel good.” she says. Performances run from April 10 to 14 in the Meredith Auditorium on the USF campus. For more information and ticket sales, visit the University of Sioux Falls theatre page. USF student Lily Saterlee is all smiles backstage.